Born: July 1867, Manchester, England. Died: 28 July 1934, Johannesburg, South Africa. John Yates studied at the Royal College of Science, London, and qualified at the Royal School of Mines in that city. He gained his first practical experience of mining during a stay of two years in India. In 1895 he arrived on the Witwatersrand and for some time worked on the improvement of the cyanide process of gold recovery in association with the African Gold Recovery Company. This work was reported in "The cyanide process" (Proceedings of the Chemical and Metallurgical Society of South Africa, 1896, Vol. 1, pp. 254-267) and in "The MacArthur-Yates process of gold extraction: Dry crushing, with direct amalgamation and cyanidation" (Transactions of the Federated Institution of Mining enbgineers, Newcastle-upon Tyne, 1897, Vol. 12, pp. 361-370). From 1897 to 1899 he was successively manager of the Glencairn and Balmoral Companies, under the control of the Johannesburg Consolidated Investment Company, Ltd. During this period he published a book on Present day metalurgical engineering on the Witwatersrand (London, 1898, 136 p), which included an appendix on the economics of the gold mining industry of the Transvaal by J. Hennen Jennings*. 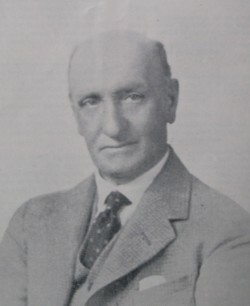 After serving in the Anglo-Boer War (1899-1902) on the British side, Yates returned to England and settled in Manchester. He came back to Johannesburg in 1905 to succeed H.S. Hele-Shaw* as professor of mining at the Transvaal Technical Institute (from July 1906 the Transvaal University College, a forerunner of the University of the Witwatersrand). However, as a result of conflict between him and professor John Orr*, problems he experienced with some of the students, and the difficult financial position of the college, he was dismissed from his post in 1908. The next year J.G. Lawn* was appointed in his place. Yates was an associate of the Royal School of Mines, a Fellow of the Geological Society of London, a member of the Institution of Mining and Metallurgy (London), and played a role in several local scientific societies. In 1896 he became a member of the Chemical and Metallurgical Society of South Africa (from 1902 the Chemical, Metallurgical and Mining Society of South Africa), serving on its council from 1902, as joint vice-president for 1906/7, and as president for 1907/8. He joined the South African Association of Engineers and Architects in August 1896 and by 1897 was a member also of the Geological Society of South Africa. By 1903 he had joined the South African Association for the Advancement of Science, but his membership soon lapsed. On leaving the Transvaal University College Yates founded and became the principal of the Transvaal Mining Institute, a coaching school for candidates studying for Certificates of Mining. Around 1908 he was vice-president of the Transvaal Centre of the St John's Ambulance Association. He was married to Brenda Yates (born Stoddart), but they had no surviving children. He died in Johannesburg after a long illness. Chemical, Metallurgical and Mining Society of South Africa. Proceedings, 1902-1903, Vol. 3; Journal, 1904-1908, Vol. 5, 7 and 8. Geological Society of South Africa. Transactions, 1897, Vol. 2; 1899, Vol. 4; and 1906, Vol. 10: Lists of members. Goode, R.C.J. 75th Anniversary of the South African Institute of Mining and Metallurgy. Review of the Institute affairs. Journal of the South African Institute of Mining and Metallurgy, 1969, Vol. 69, pp. 510-541. McCarthy, T.S. Born of necessity: The story of the Department of Geology, University of the Witwatersrand, 1904-1994. University of the Witwatersrand, 1994. National Archives Repository (TAB), Source MHG, Vol. 0, Ref. 85809: death notice, John Yates. Obituary: Professor John Yates. Journal of the Chemical, Metallurgical and Mining Society of South Africa, 1934, Vol. 35, p.89. South African who's who, 1908, 1909, 1917/8, 1919/20, 1923/4, 1927/8, 1931/2. Wills, W.H. The Anglo-African who's who and biographical sketch book. London: Upcott, 1910.